Disclaimer: Like any parent, I think my kids are amazing. So, if ever I sound a little brag-gy on this post, I think you shouldn’t be surprised at all. 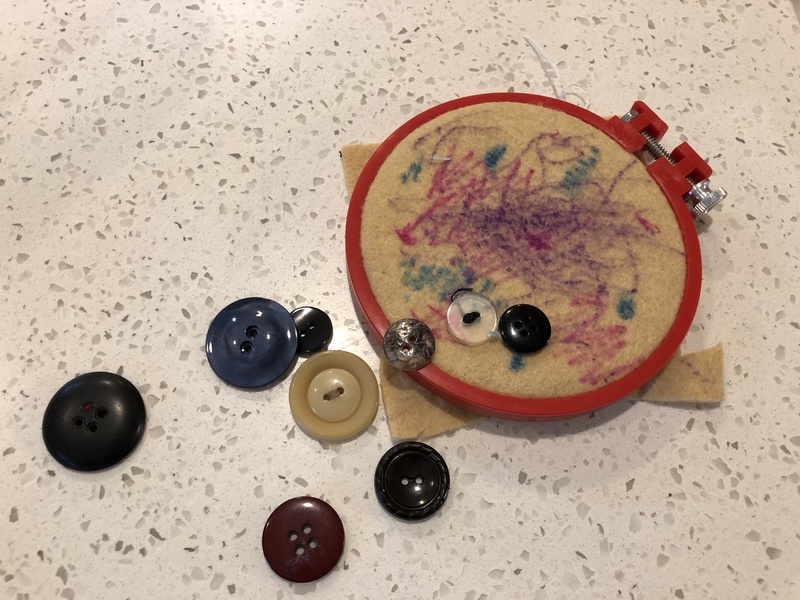 At the time of this post, my daughter Zelda is 3.5 years old, and she’s surprising me as she expresses herself through sewing. We started giving Zelda scissors to practice cutting around Christmas of 2017, when she was 2.5 years old. If I remember correctly, she’d already started playing with pins in the sewing room around this time too. Of course, she had to be heavily supervised, but it was great way to get her familiar with working with sharp objects and fabric. Zelda’s cutting forays quickly ate up scrap paper, and we moved on to some scrap fabric and yarn from the craft box. Seeing her cut into fabric and yarn really excited me. I know the subtle ways that different fabrics and papers can react to your fingers, scissors, or needles. I remember obsessing over these feelings from a very young age, and thinking about how different fibers would react as I touched them. Thoughts like, “It’s easier to cut paper with scissors, rather than cut into my stuffed teddy bear. the paper is crisp, and the teddy bear is squishy” Not only was I excited for her to create and learn, but I wanted to take the opportunity to tell her which things in the house were ok to cut and sew! This past Fall, I made up a sewing kit for Zelda, and I showed her how to sew buttons onto hooped fabric. This was exciting for her, but it required a lot of help. I tried to draw on fabric and stitch over it to show her some beginning embroidery, but this was a bit beyond her skill-level and interest level- embroidery takes a lot longer than coloring! 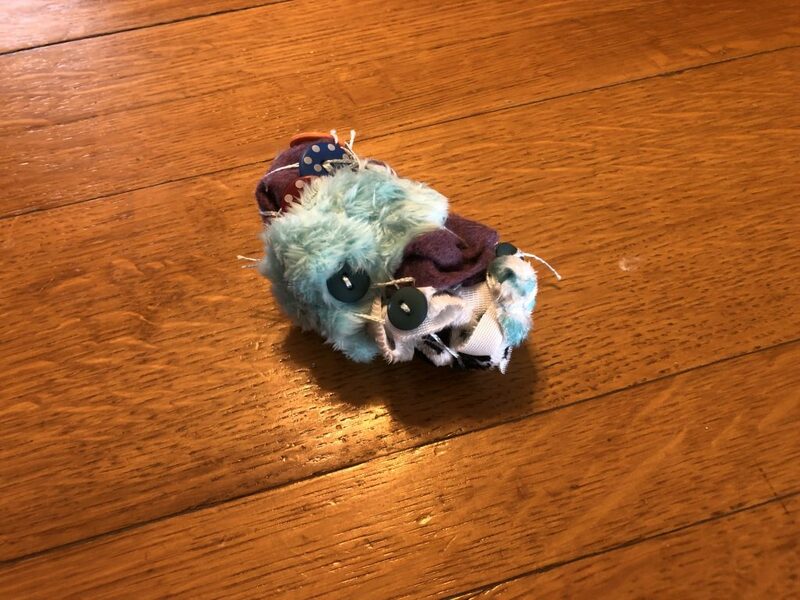 One day, she asked to sew, and I didn’t have a lot of time to pay attention to what she was doing, so I gave her free reign with the sewing kit. I threaded up her needle and said, “You’ve got two pieces of fabric here, you can sew along the edge and make a pillow.” Yeah. Right. What ensued was this creation. According to Zelda, it’s a “Pillow for the Thanksgiving Parade”. Apparently, someone at some time had mentioned the Macy’s Thanksgiving Day Parade to her (it wasn’t us), and that’s what this pillow was for. She remembered this pillow, and we had to keep it some place special. What happened next? More “pillows”. One is for her friend, Violet. 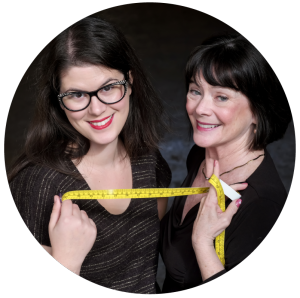 And then…independent sewing of buttons! I gave Zelda some stuffed felt creatures from my friend Sarah (here’s her Etsy), and she decided her next creation had to have eyes too. I helped her with the second hole of the first button, but then she did the rest herself. This piece also includes a piece of fabric that already had buttons sewn onto it- something I did not foresee her using. These little creations are kind of weird-looking and impractical. 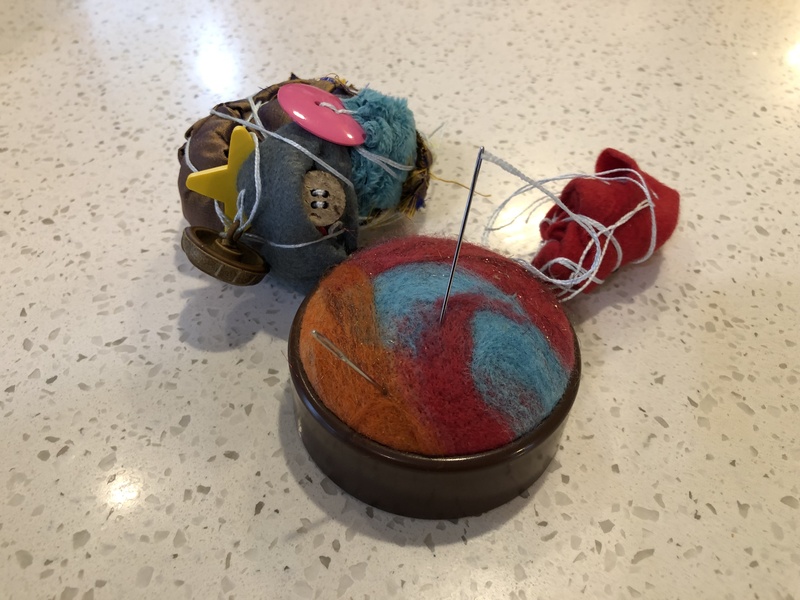 I’ve always been of the opinion that kids would get excited to sew if they made something they can use, like a bag or a simple piece of clothing. I think that’s true, at a certain age, but right now Zelda is thrilled by her “pillows” or “creations” (what they’re called depends on when you ask her). She likes to look at them, and show them to people. They don’t have to serve a practical purpose for her. Creating for the sake of creating? Creating without judging whether or not you did a useful thing? Not basing your self-worth on productivity? Those are things lots of adults need to work on. I’m sure I’m reading too far into this- but I gave you a disclaimer at the beginning of the post. What’s in Zelda’s Sewing Kit? Having a sewing kit available for your kid will make it very easy for them to sew at any time. Setting it up once with high quality, easy-to-use tools will make it so that they can sew any time they ask! Scissors: As I mentioned, Zelda is pretty handy and safe with scissors. I keep a pair of small scissors in there, and I make sure that they are sharp. Sharp scissors mean that she cuts easily and doesn’t try to hack at something or push too hard. Plus- they’re less frustrating for me! You can use a cheap, new pair of rounded point scissors, but my kid is a bit spoiled and has this Olfa pair. She can handle the pointy end and I’m comfortable with her using them. 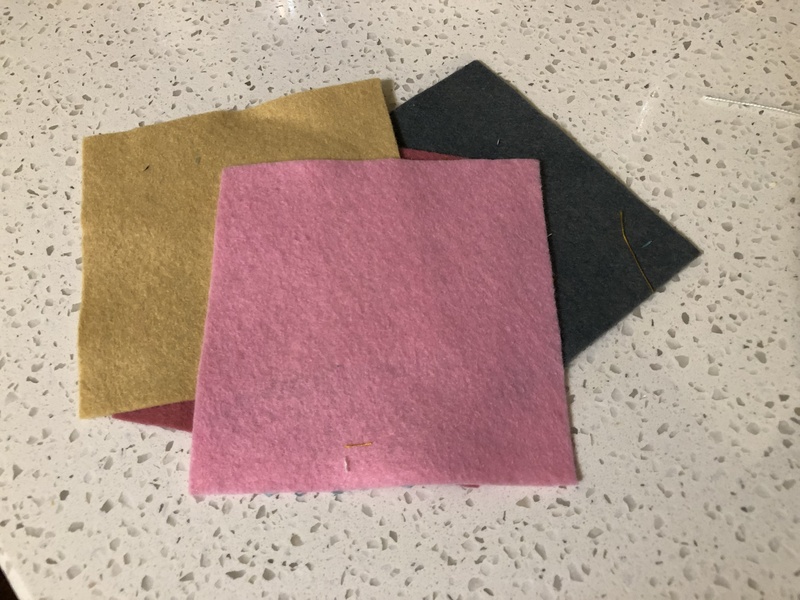 Small Fabric Scraps: These felt squares are left over from a project at the shop. They’re great, because they don’t unravel, and they seem to be the perfect manageable size for Zelda. Of course, I’d put almost anything in there that was easy to pierce with a needle. I probably won’t put knits in her kit, because they can be difficult to hand sew. Even when a fabric square has buttons or other embellishments sewn onto it, I leave it in the box, she uses them no matter what! Long-ish, Sharp Needles: I keep telling you to put sharp things in your kid’s sewing kit. 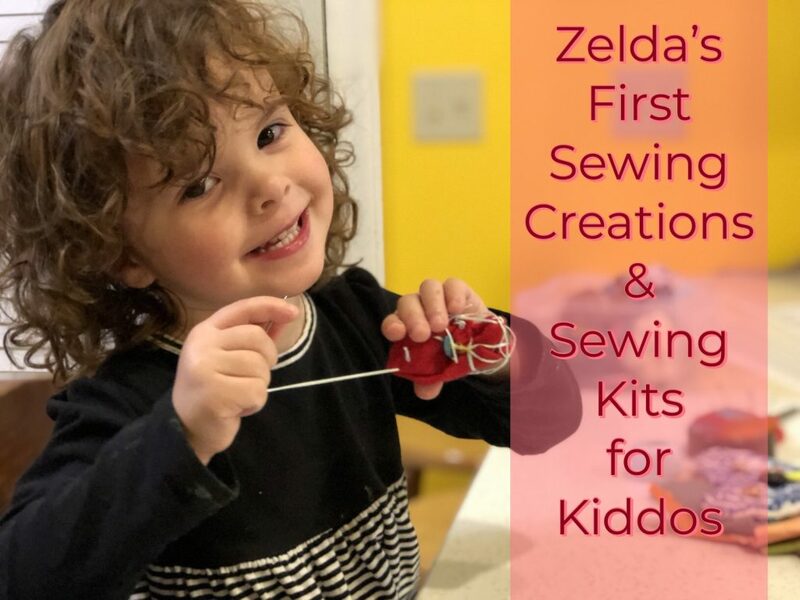 Every kid is different, and you’ll find what works with some preliminary care and supervision, but I found it much better to give Zelda a sharp needle that would easily penetrate her fabric creations. Less jamming, less poking. Zelda’s ideal needle at the moment is long with a medium eye. Hand embroidery needles seem a bit short for her small hands, so I’d recommend digging around in your drawer and picking one that’s around 2.5-3″ long- or pick up an assortment like the one below, and you and your kiddo can find the perfect needle! A Pincushion or Needle Keeper: Imagine you are a valet in Downton Abbey and you have to count the silver after every dinner. Know how many needles or pins are in the sewing kit, and put them away after each session. If one is missing, you’ll know, and you can look for it. I had some pins in Zelda’s kit at first, but she doesn’t really need them, so I took them out. She likes this little pin cushion that I made from a Clover Pin Cushion Kit, but I think a better option would probably just be a little needle book- less chance of poking. Buttons, Beads, and Maybe a Mini Embroidery Hoop: This is totally up to you, but I’d keep a few things in mind. Make sure you have a tray or some container where the beads can stay put during sewing time, especially if you have pets or other small children. Make sure the holes in your beads and buttons accommodate whatever needle you give your kiddo. This is why I didn’t recommend a tapestry needle in the needle section. They’re dull and have huge eyes, which seems like it would be kid friendly- but it doesn’t seem to make Zelda happy. I think it’s easier for some kids to sew buttons onto hooped fabric, and this mini embroidery hoop was exactly Zelda-sized! You can get some mini embroidery hoops for practice and also for framing little works of art! Thread: I give Zelda a double strand of number 8 Perle Cotton to sew with. It seems perfect for her needs. It doesn’t tangle, even when I cut it pretty long, and I cut long strands for her since her method requires a lot of thread at the moment. I think the Perle cotton is better than floss or thread that I’d use in my sewing machine. Look at this cool set- lots of colors! How Much Supervision Does a Kid Require When Hand Sewing? 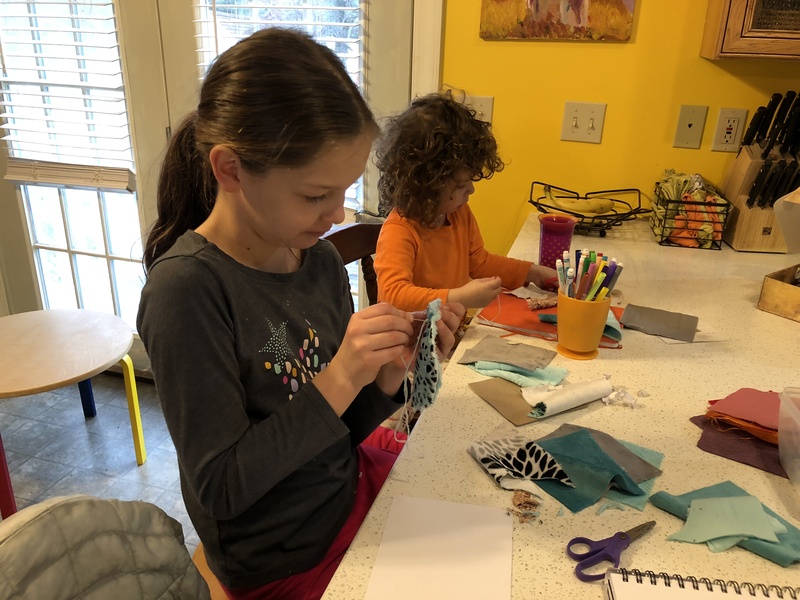 This will vary with each kid, I’m sure, but I think the key is to give them lots of opportunities to sew, so that they become more confident and safe more quickly. My main concern when Zelda sews is keeping track of scraps and needles, because we have a 1 year old in the house too! I did see her contemplating cutting her hair once- glad I was watching at that point. Small hurts do happen. Zelda hasn’t cut herself yet- but she has poked herself with the needle. She’ll generally say something like “Ouch” and give me a grimace while sucking on her finger. I’ll say something like “Oh, I poke myself sometimes when I sew, but it’s ok!”. Then she moves on. I’ve actually seen her press the point of the needle against her finger a couple of times, exploring how poky/pointy it is. I don’t say anything, and she generally goes back to sewing. For the past 3 days, Zelda has spent about a half hour of uninterrupted time sewing. I’m sure that’s great for building attention spans and patience and whatnot- but it’s also awesome if I’m trying to clean the kitchen or something. I just have to rethread her needle when she runs out. Zelda sewing with Charlotte, the daughter of one of my husband’s oldest friends. I want to be encouraging to Zelda, but I also want her to be safe. I also don’t want to clean up a bunch of fabric scraps or do the Heimlich maneuver on her little brother. You Have to Ask: When we “play” in the studio, Zelda has to ask me if she can cut anything before she actually cuts it. I’ve practiced this with her. I laid out several fabric scraps and she had to ask before she cut into any of them. Then, when my project accidentally got over into her space, she asked. I’m not saying that there’s never going to be an accident- but I think some high vigilance at the onset of this learning process can pay off. When she sews with her sewing kit in our kitchen- she has free reign and can do whatever she wants. I think that is a good balance of regulated and unregulated time! You Have to Pick Up: I’ve explained to Zelda that we have to be very careful not to leave items on the floor. Baby Jerome, the cat, or the dog could get hurt if they come across a button or a needle or thread scrap. I don’t pick up dropped things- she does. Zelda sews at our kitchen counter. She’s up on a bar stool, and if she drops something, she has to pick it up. At first, I picked things up for her, but after a few incidents where I required her to pick up the dropped items, they happen way less often. I think we should make creating accessible for our kids, so if my kid had a special issue with getting down and picking things up, I’d come up with a different setup. However, Zelda is perfectly capable of keeping her things on the counter and picking up the occasional dropped item. “Stop For a Moment”: If I see Zelda doing something unsafe or whatever the word is for cutting your own hair as a toddler (annoying? ), I try not to shout “NO!!!!”. I say clearly (and maybe a bit sternly), “Stop for a moment. We do not cut our hair. We cut fabric and thread. If you do things like that, then I cannot let you play with the scissors by yourself.” Ok, ok- sometimes I might yell “NO!! !”, but I really try to stay calm and collected. I want her to have a good experience being creative. I want her to know that if she makes a mistake, I’m going to help her fix it, not berate her or shame her. I’m not a parenting expert, but I think this is a good strategy for now. You Can Sew Anytime: I let her sew pretty much whenever she wants. Like I said, at this point she’ll sew for about a half an hour by herself. Excellent fine motor skill development time, less TV time, more time for me to get stuff done- win, win, win! Of course, I’m not always busy with other things while she sews. Sometimes I sit next to her and sew as well, or draw or work. I think she likes doing something in close proximity to me while I work in the kitchen too, and we can always talk about what she’s making or what she’s thinking. The only time she can’t sew is if we’re just about to leave or just about to eat. If she wants to sew immediately following a meal, we clear her place and get out her sewing kit. Even in my area of expertise, I’ve been delightfully surprised to see what my kid is doing! My husband is a elementary (primary) art teacher for ages K-5, and he worked in pre-schools for years before doing that. Neither one of us foresaw that Zelda would have such an awesome time manipulating fabric into these shapes like this. It’s nice to enjoy moments like these in parenting, because you know, it’s not all unicorns, rainbows, and sewing projects. Even if Zelda’s interest in sewing is fleeting or she hates it one day, I’m happy to have these memories of seeing her stitch, make, and problem-solve. I’d be thrilled if my kids wanted to sew things with me as they get older, but I know it might not happen. However, I think this hobby is a great place to invest some time and money, if you think your kiddo might be interested! Does your child sew? Tell me what they make! Both of my babies have had access to the sewing studio from Day One, and even when they’re not interested in sewing, we spend time together there. 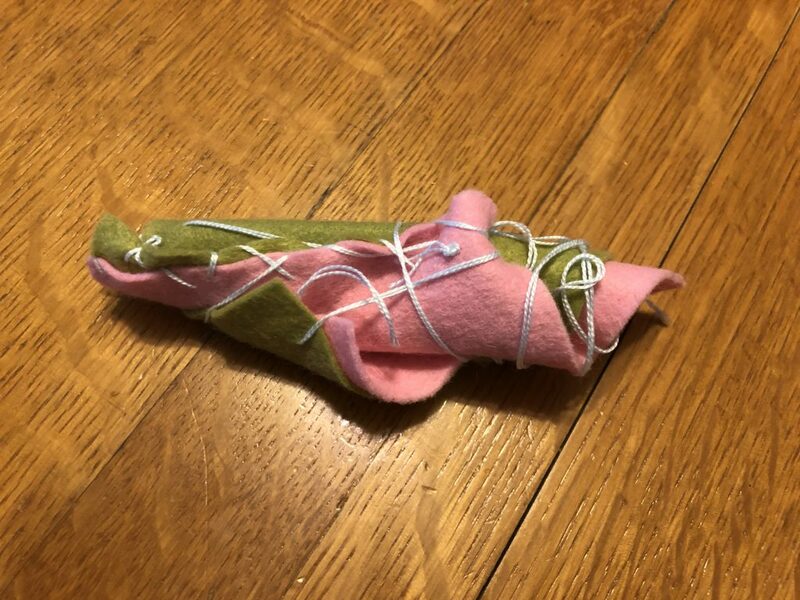 My 8yo has a kit with similar items to what you mentioned and has made doll clothes–by rolling them in scrap pieces of fabric and stitching the fabric closed. She’s currently working on an 18th century pocket for a gown that we’re ‘collaborating ‘ on. My 4yo uses yarn and plastic canvas when he feels like joining our sewing time. I sew with my 2 older granddaughters. We’ve done PJ pants, pillow cases, bags, etc. She’s put together the cloth baby books that come pre-printed. I bought some Kids Can Sew DVD with patterns. They’re great and give instruction in an understandable way….my granddaughter does a better job with the DVD than I do. The younger one has less patience and more of a free spirit. We sew something together and then I let her creativity run amuck.Hoping to spark something that will continue for years to come. Love this! Such a healthy introduction to sewing. Emphasis on the process instead of the product is so good for today’s kids. Adults too! 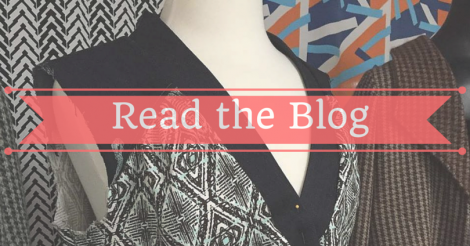 ‘Process sewing’ is such fertile ground for creativity and exploration. Bravo! to you for capturing these precious and rare moments in a child’s life. Thank you for sharing them and equipping us with the details so we can do the same for the children we love.